NEW AGE SPIRITUALITY: Metaphysics meets science and religion. New Age Spirituality is in many ways a combination of metaphysical, scientific, and religious approaches to the human search for understanding of nature, the Universe, and human life. Before science and technology developed to a level where non-physical aspects of reality could be examined, people were entirely dependent upon philosophy, religion, and personal inner experience for their understanding of the world and their place in it. While there is still a great deal that is not yet known, there is enough evidence to point to the nature of matter as energy and information, the impact of mind and emotion upon matter, and the unity or oneness of the subconscious human mind. In some ways, new age spirituality has earned a somewhat negative reputation for being "wishy-washy" or "woo-woo" in quality and application. This has been primarily due to the willingness of many individuals to apply the principles of metaphysics and spirituality without the need to justify the results with any scientific investigation. New technologies now allow us to gain objective measures of what was once only measurable by subjective experience. Nevertheless, spirituality still remains a highly personal and subjective journey for most of us. The primary difference between spirituality and religion is the overall tolerance for a wide range of beliefs, and the respect for personal inner guidance, knowledge and experiences. New age spirituality has been applied to bring about health benefits, spiritual enlightenment, and to help guide behavior and decision making processes. The links below will introduce you to just some of the many resources I have found online that can help you apply the spiritual aspects of metaphysics to your life. OR, Go Back To: SPIRITUAL METAPHYSICS to learn more about how everything is connected. 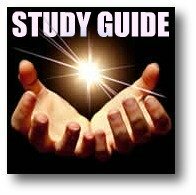 I could not find a more comprehensive site with info and resources about new age spirituality and health! Whether you call it astral projection , the out-of-body experience , remote viewing, or even lucid dreaming, here you'll find articles to help you achieve, understand and improve this alternate state of being. There are also articles on spirituality, as you will find that the deeper you go into astral projection , the more you'll naturally start to awaken to a new perspective on life and self. This link will take you to a one hour interview with leading new age spiritual teacher Drunvalo Melchizedek. From there you can visit the homepage, search hundreds of free video interviews, listen to radio programs on demand, listen to music, find movie trailers and reviews, and keep up with current events. Drunvalo Melchizedek is Editor in Chief of Spirit of Ma'at, a website dedicated to providing a central clearinghouse of undistorted information in the areas of spirituality, human potential, and new science. 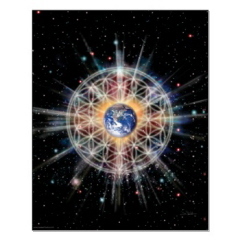 Go Back To: SPIRITUAL METAPHYSICS - Everything Is Connected!